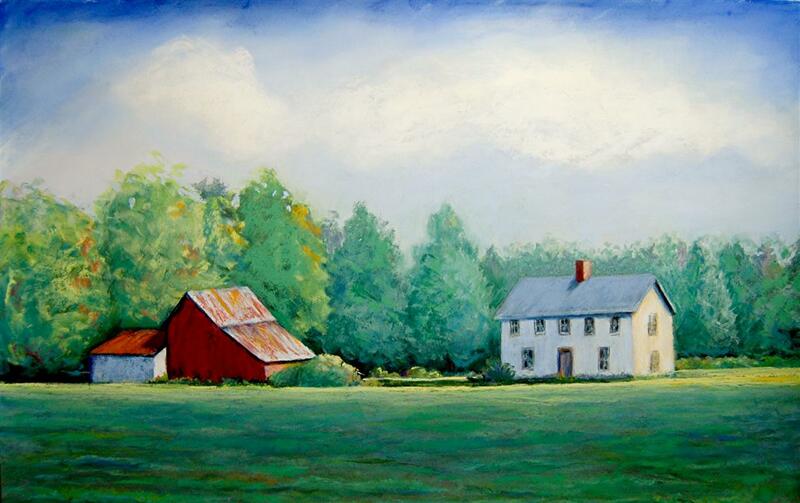 Grand Prize $5,000 - Garin Baker, New York, N.Y., for his painting, "A Buck Twenty a Bushel"
2nd Place, $2,000 - Nancy Tankersley, Easton, MD for her painting "Brookletts Morning"
3rd Place, $1,000 - Robert Barber of Bethlehem, Pa., for his painting, "Two Sycamores"
Vanishing Landscape Award $2,500 - Charlie Hunter, Bellows Falls, Vt., for his work, "Bridge"
Best Marine Award, $2,000 - Greg LaRock, Newport Beach, CA., for the painting, "Blocked In"
Best Architectural Award, $1,000 - Tim Kelly, Baltimore, MD for his work, "Old Dover Bridge"
Historic Preservation Award, $500 - Richard Sneary of Kansas City, Mo., for his painting, "Side Door"
Best New Artist to PAE!, $500 - Mark Lague, Montreal, Quebec - "Late Afternoon on Tilghman"
Best Painting by a Maryland Artist, $500 - Hiu Lai Chong, Gaithersburg, MD for "Take Me Up"
Gail Grafton Memorial Landscape Award, $500 - John Carter of Louisville, KY, for "The Cove"
Carol Hilderbrandt Award of Joy and Exuberance, $500 - Crystal Moll, Balti. 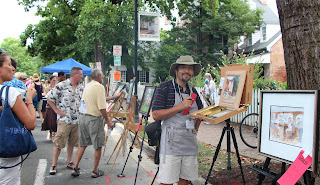 , "Essence of St. Michaels"
Honorable Mention, $150 - Larry Moore, Orlando, Fla. for his painting, "Plenty of Work to Do"
Honorable Mention, $150 - Stewart White, Baltimore, MD for his painting, "Paint the Town"
Huge crowds turned out for Saturday's Quick Draw Competition! 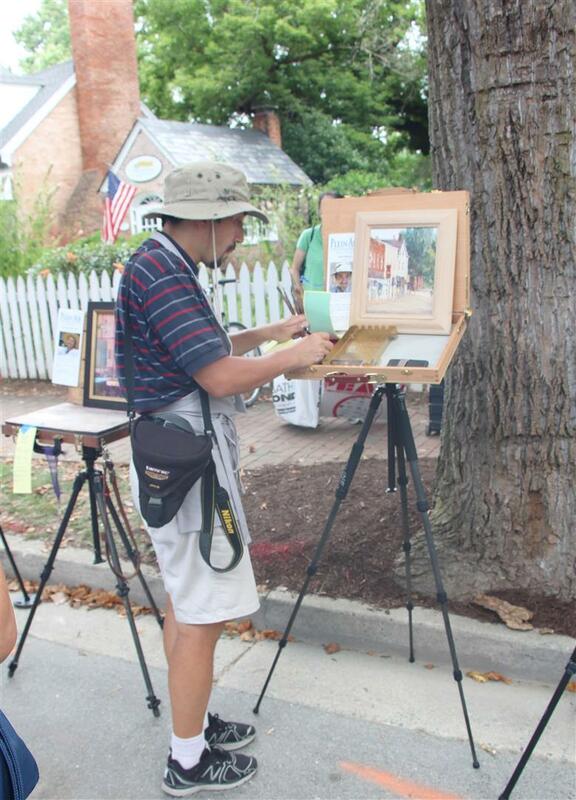 Plein Air Easton! crowd after Saturday's Quick Draw event. 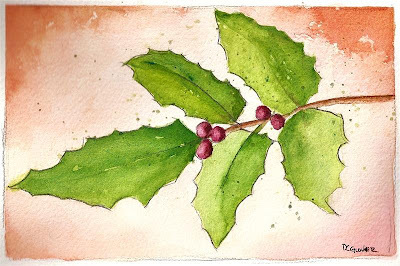 I did this painting for my upcoming Monthly Watercolor Beginners Project Club. Details to come! 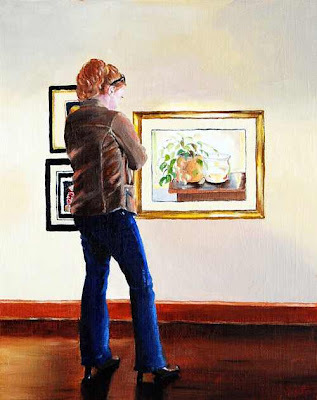 The painting is currently hanging at the Art Institute & Gallery where it won Honorable Mention in the Spring Members Art Show. Soft Pastel Painting - 11"x15"
This farm is located only a few miles from my home. It has been abandoned for several years. It is such a beautiful, lonely scene and I have enjoyed seeing it for years. I have wanted to paint the scene for some time and have envisioned the painting with an impressionistic style. I completed it a few months ago and anyone who knows the farm will recognize that I have taken artistic license (as usual) with the scene. 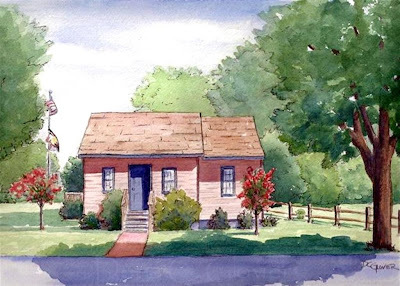 I am interested in doing more rural Eastern Shore works. 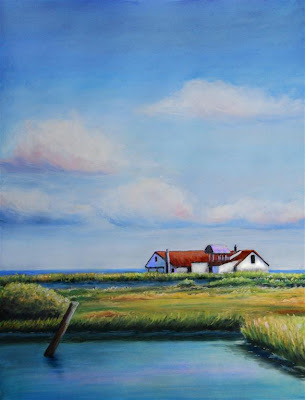 Stay posted for some of those new paintings and don't forget, if you are not already subscribed to my blog, it's easy to do. 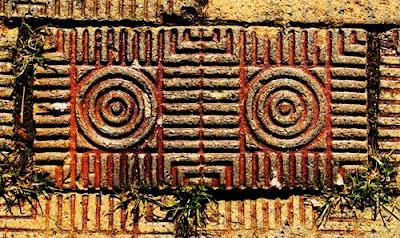 Just click on the box in the upper right margin of my blog page. Thanks to those of you who already do get my postings in your inbox! 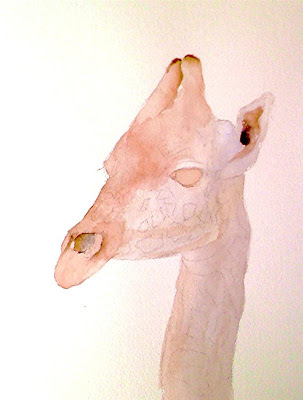 The demo for my Open Studio group this week was on painting a giraffe. 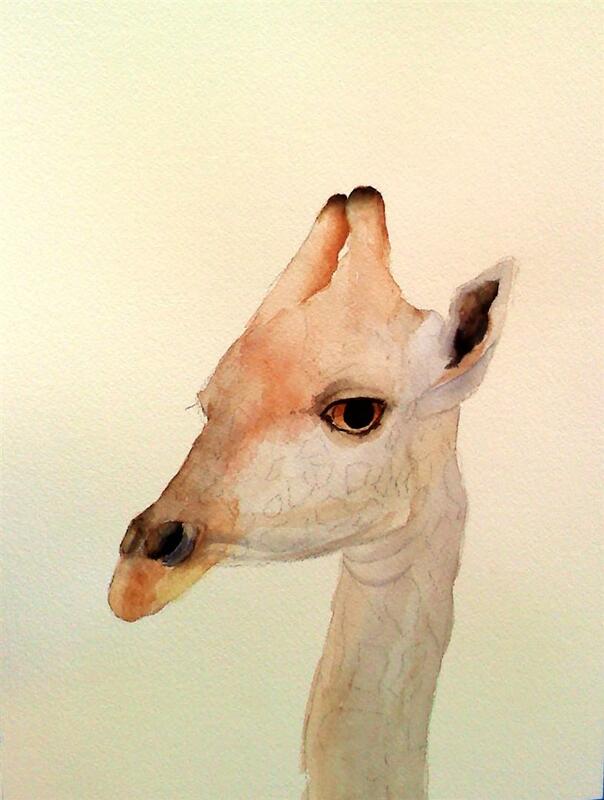 Most of the group worked on painting the head & neck portion of the animal. My students did wonderful work and I think we were all surprised at how much fun we had with this subject. 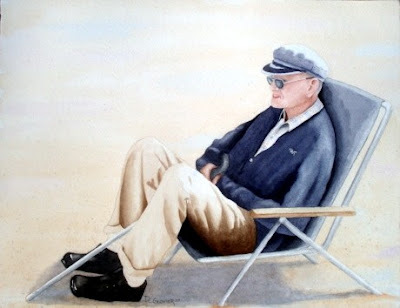 The other images in this post are at stage one (the underpainting) & stage two of the painting. It was meant to be a quick and simple project. 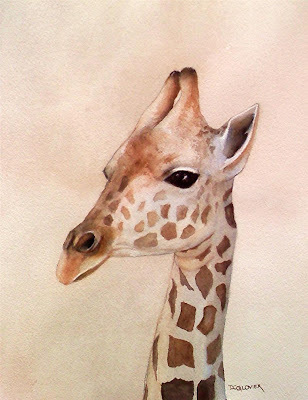 Hope you like my little giraffe! This painting was so much fun to do. 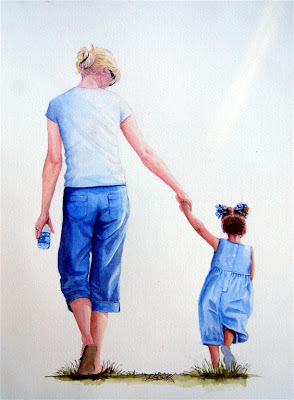 I put in no background because I wanted the painting to focus on the connection between mother and child, physically AND emotionally. The relationship between mother and child is almost magical. I was excited about creating a painting that celebrates that special bond. I hope you like it. Click the image for a larger view. Pastel - 11" x 15"
This pastel painting is based on an old dock building that is still in use. 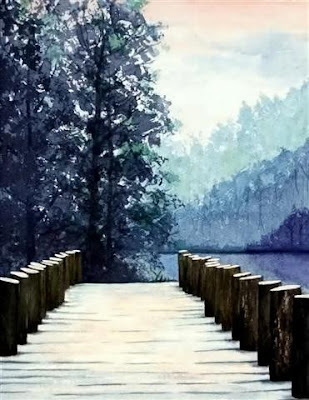 It is situated next to a long dock and is so visually pleasing. I enjoyed this one and plan to do others in the future. Click on the image for a larger view. Hope you like it. I hope you'll take a few moments to check out the latest video sampling of my watercolor & oil paintings. Some of these you may recognize but I'm sure some will be new to you. Just click the arrow at the bottom left of the image above. I hope you enjoy the show! 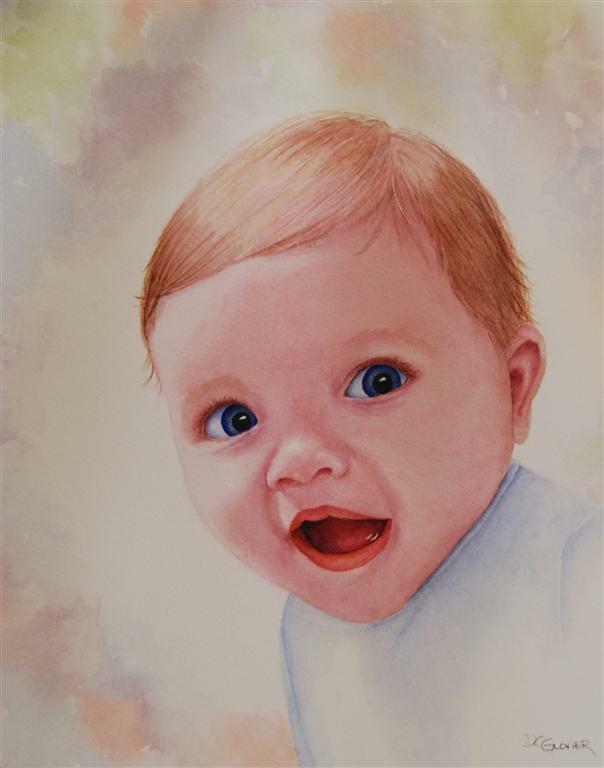 Another recent portrait of a baby, but this one of a little boy. 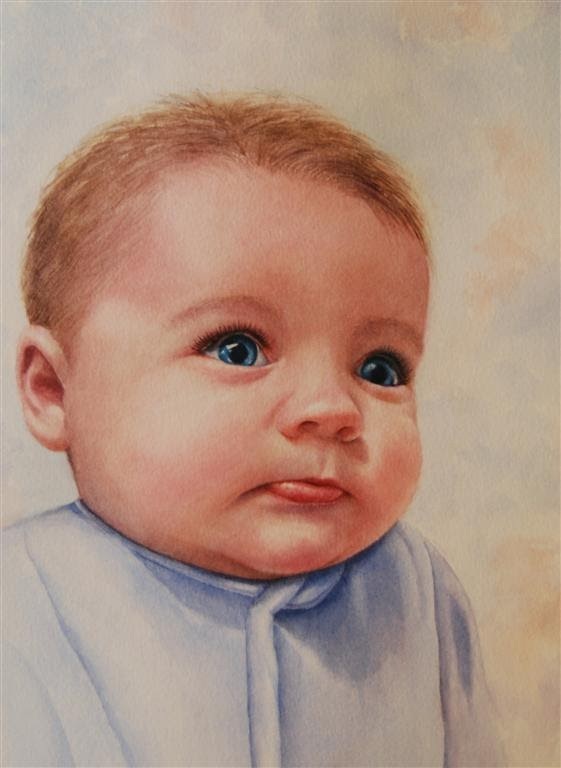 Painting a baby's portrait is quite different from an adult. One must use a totally different palette and hard lines are rarely effective on the soft, sweet face of an infant. 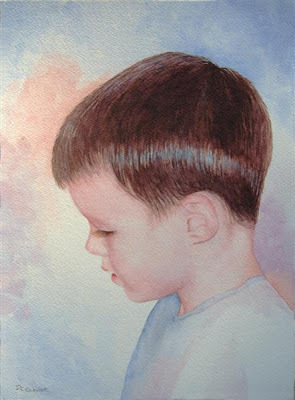 I loved doing this painting...especially portraying the adorable pouty lip expression. Portraiture is my favorite genre and this one was a delight to do! Witnessing a likeness emerge from your brush and palette is always a magical experience. I hope you like this one. If you're interested in learning more about commissioning a painting, email me and I'll send along an info document that explains the process. It's most likely more affordable than you think! Click the image for a larger view. Check out my Photography Blog for the original image! I adore little boys! I have a son, several adorable nephews and a new grandson! Little boys are so much fun to observe as they go about their activities. We were fortunate enough to camp on the banks of a body of water that flows into the Chesapeake Bay earlier this spring. The fishing dock at Tall Pines Harbor was a favorite spot for various groups of little campers. They had such a grand time casting their rods and sharing fish stories that weekend. I never did see any of them catch a fish but it didn't dampen their spirits (or hopes for the big one) at all! Of course, I knew I would paint them and I had so much fun with this one that I will be doing a series of Young Fishermen paintings! Click the image for a better view. I hope you like this one. 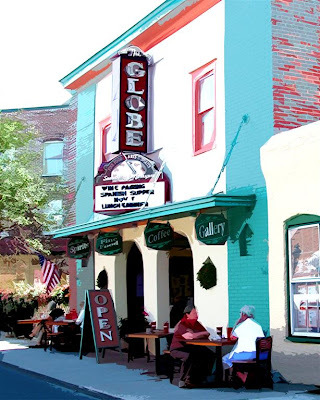 This painting has already sold (at Plein Air Easton) but prints are available. Stay tuned for some new paintings in the series. If you'd like to receive my blog posts in your inbox, just click on the link at the top right of the blog page. Thanks for looking. Two New Oil Paintings In Progress! This painting promises to be a fun one! 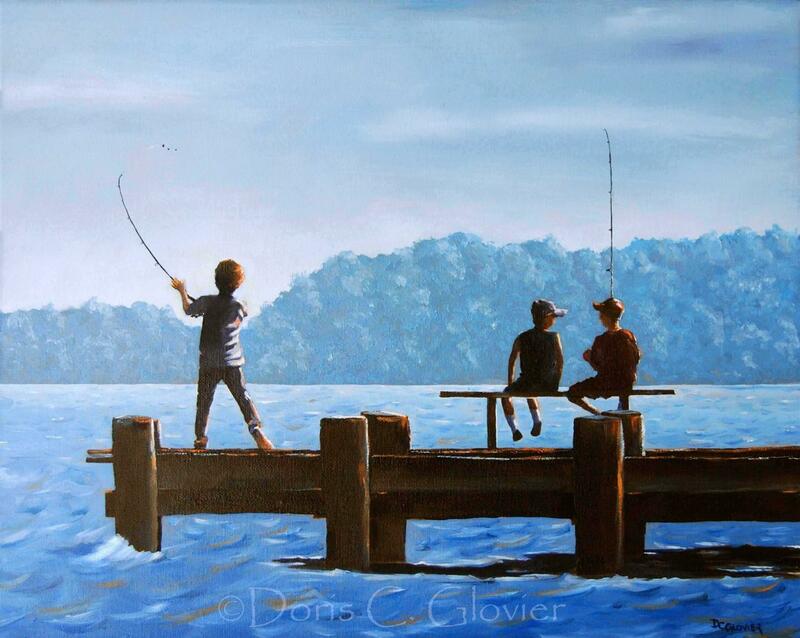 It tells the story of three little boys out for a day of fishing. These little guys were so in to casting their rods that I'm sure that their bait was never still in the water long enough to entice a fish! This shows a close-up of the first llittle fellow casting his rod into the water. I generally work on a toned canvas and that is why you see the sienna-colored background with my sketch on it right now. Stay posted for the final painting. If you are not already a subscriber, click on the "Subscribe"link at the top right of my blog page. My posts will come to your inbox each time I post a painting. Thanks for looking! This one was so much fun to paint. 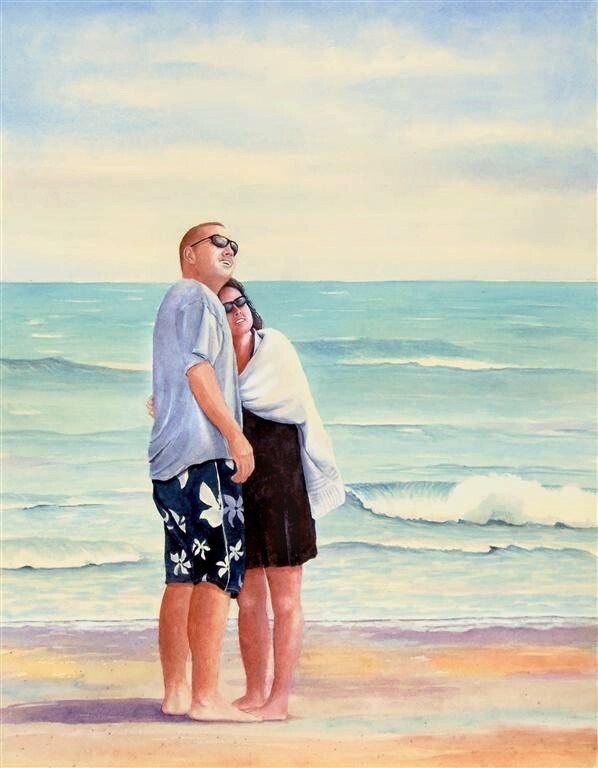 This couple was on a beach at the Outer Banks, watching their two adorable little boys as they were trying to get a kite into the air. I captured their expressions just as the kite finally took flight. Their joy (and relief!) 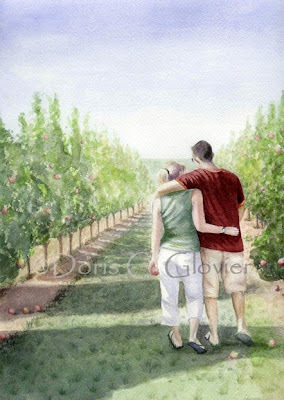 in their children's accomplishment was so obvious, I knew I would paint this image someday. I hope you enjoy "Kites on The Beach". My latest article was published today on EmptyEasel.com. 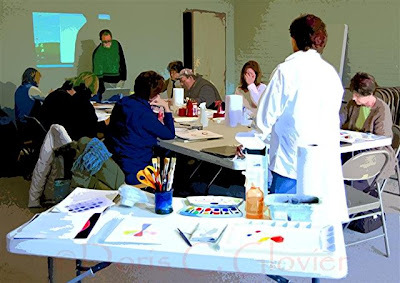 It's all about getting the most out of your art/painting class or workshop experience. Here's the link: http://emptyeasel.com/2010/06/08/maximizing-your-art-workshop-experience/. I hope you find it informative. If you take classes, I think you will! Stay posted for some of my newest paintings this week! Please don't forget, if you are not already subscribed to my blog, it's easy to do. Just click on the box in the upper right margin of my blog page. Thanks to those of you who already do get my postings in your inbox! 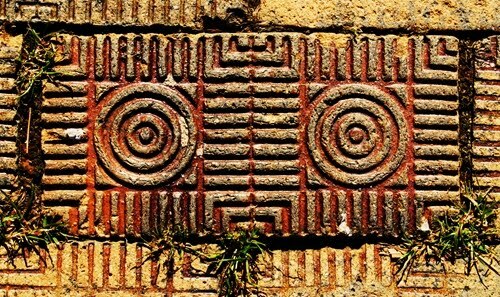 This week's article for EmptyEasel.com is about finding beauty in unexpected places. This image is a good example. Read about it by clicking here. 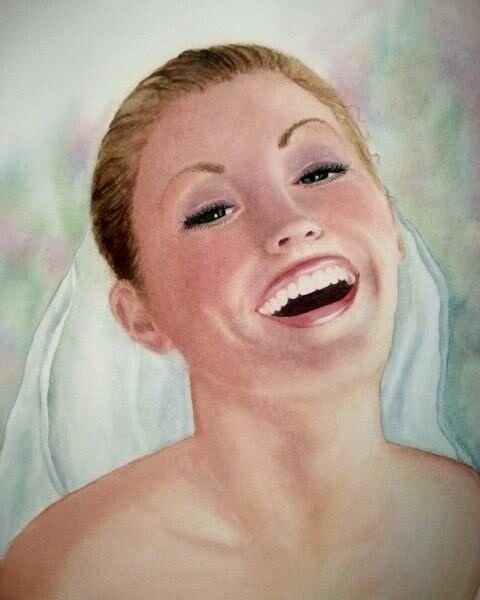 After my daughter’s wedding, I began thinking about creating a painting that captured the absolute joy in her face on that special day. Click here to read the entire article on EmptyEasel.com. There are times when I encounter a painting which moves me in a way that others do not. Something makes me pause, look closer, and become immersed in the visual excitement of the artist’s interpretation of their subject matter. What explains that reaction? Click here to read more of my latest article on EmptyEasel.com! This local scene is one I have painted before. The other painting, Two Boats at Twilight, is in oil. You can find that painting in an older post on this blog. It is so much fun to paint similar scenes in more than one medium as the results and the process are really quite different. This painting is one that is difficult to photograph. In reality, the original has a softer, more transparent quality to it. The lens did not seem to like the combined complement colors of blue and orange! As most artists know, complements are beautiful when placed next to each other in a painting. However, when mixed together they can turn to neutral...often referred to as mud! I suppose the camera does some form of mixing which alters the look of the painting a bit. After some adjusting, I feel this is a fairly good representation of the painting. I hope you like it. Click the title to see it on my blog. Click the image to enlarge for better viewing. Since I live on the east coast, a blue heron standing in reeds is not an uncommon site. However, I don't think I could ever see one of these majestic birds and not react with amazement. They are simply graceful and powerful at the same time. 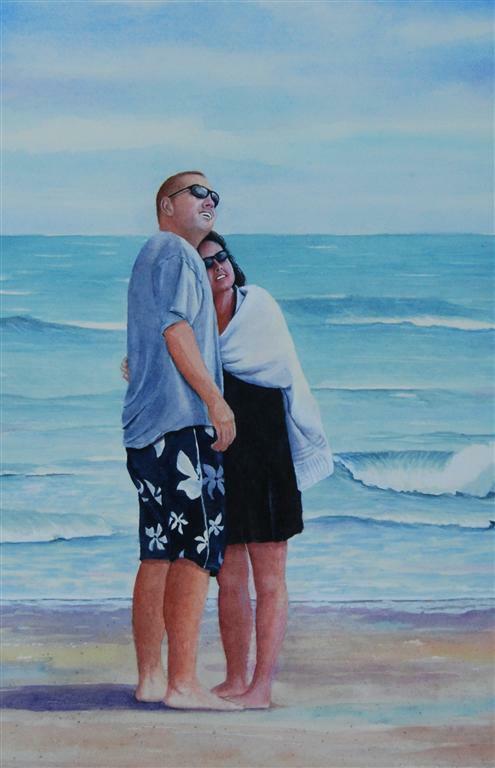 I enjoyed painting this one and look forward to doing it in a larger size. 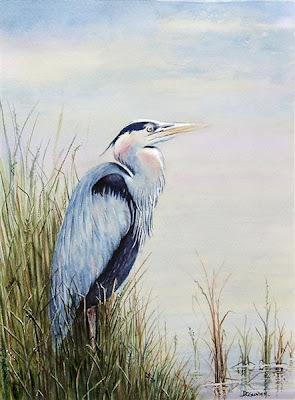 Click the image for a larger view or if you receive my posts via email, you can always click on the post title (in this case, "Blue Heron") and it will take you to my blog where it is posted. The Thomas Point Light is an active light station located on the Chesapeake Bay just south of Annapolis, Maryland. I am a fan of lighthouses and this one has always fascinated me. It is the only screw-pile light station still in its original location off of the Maryland shore. 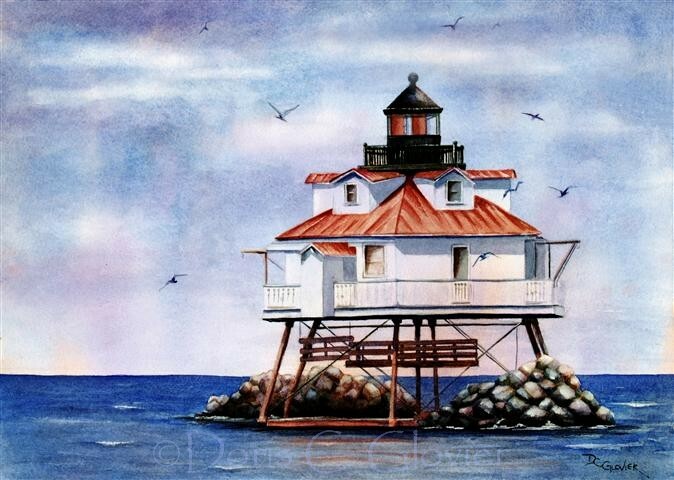 I enjoyed painting this familiar landmark and would love to do a series of lighthouses. Click the image for a larger view. This was a fun one. What a beautiful little guy this is. Oh...and yes, his eyelashes REALLY are that long! "Experimenting with Color Triads and Color Schemes in Art"
That is the title of my latest article on www.EmptyEasel.com . Click here to read it: http://tinyurl.com/ylly3wr . 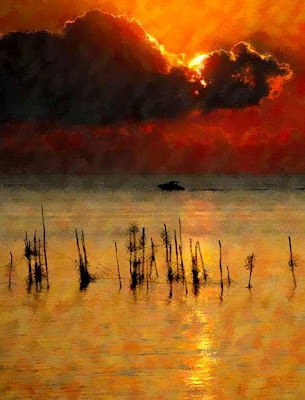 It is all about how choosing your basic palette can affect the mood of your painting. My weekly open studio workshop at the Delmarva Discovery Center demo this week was about painting the master image for a Christmas Card. I also talked about how to send them to get them printed and a little about how to print them at home. 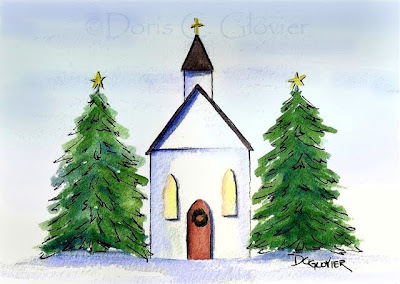 I painted this little folk-art-style church scene as an example. We had fun deciding what the participants wanted to paint for their own cards and some actually painted theirs. I generally do not send cards but may actually send a few this year. Click on the image to see it better. I hope you like this little sketch! 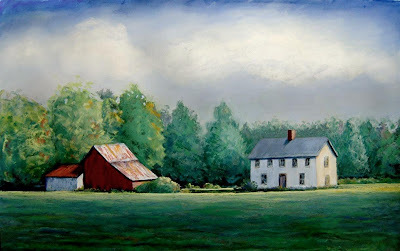 I used a local one-room schoolouse as inspiration for this cottage painting. I had lots of fun with this one that was done on a weekend RV trip. Check out my photography blog to see photos that I took of the beautiful scenes around the area. Click here to go see them! I hope you enjoy this little painting. My latest article is on EmptyEasel.com today. 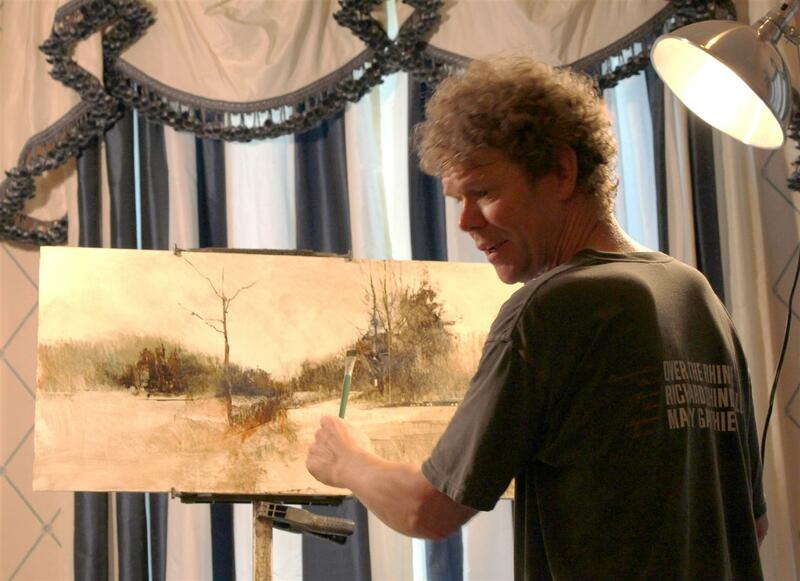 It's about how to effectively create a sense of distance in a painting. The information is applicable to any painting medium. Here's the link: http://tinyurl.com/yfxc4qm . In the article, I use two of my paintings to illustrate some of the points I make in the article. If you paint, I'd appreciate knowing if the article was helpful to you. 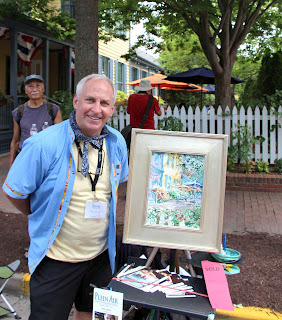 I am delighted to be the featured Eastern Shore artist on the online magazine, Mid-Shore Life this week. 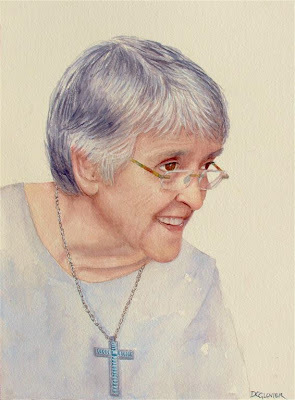 Here's the link to the article: http://midshorelife.com/article/local-artist-doris-glovier . Mid-Sore Life is a great source of what's happening on Delmarva. You can subscribe to have it sent to your inbox. Be sure to check it out! Thanks for looking and thanks to Cyndi and John who created MidShoreLife.com - a place on the internet that is focused Eastern Shore folks. This little girl was an onlooker at last year's skipjack races. She was standing on a bulkhead at the shore with her parents or maybe her grandparents nearby when I snapped a photo. 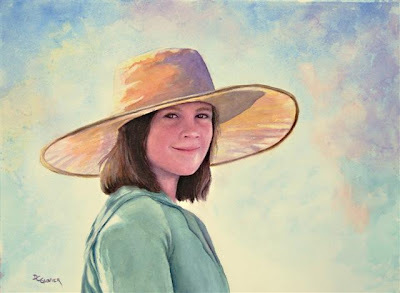 She had been a bit sunburned from the previous day and was wearing this very large hat - probably not her choice but her grandmother's. I thought she was absolutely adorable and was sure I'd want to paint her some day and here it is! IN THE BALCONY ART GALLERY! Berlin's 2nd Friday Celebration - Friday, July 10. Featuring an Open Show of Local Artists! EmptyEasel.com is a leading online art magazine with a great writing team that publishes advice, introduces artists, and posts tutorials for creating and selling art. I have been asked to join the writing staff and will begin contributing articles this week. I am delighted to be selected from apparently numerous applicants and am excited to contribute to this outstanding publication. You can have EE delivered to your inbox by going to their website and subscribing, http://emptyeasel.com/ . Here is the link to the article introducing me and Charlotte B. DeMolay as the newest addition to the writing team. http://emptyeasel.com/2009/07/09/introducing-two-new-writers-for-emptyeasel/ . The Delmarva Discovery Center had its Grand Opening on June 25th. Among all of the museum exhibits and displays and in the middle of all the festivities, the Center's first student art exhibit was taking place. 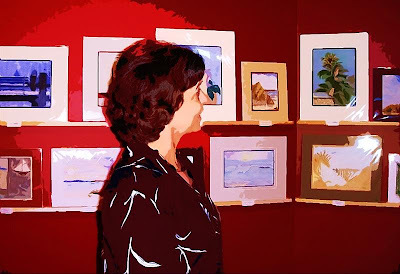 It was an incredibly enjoyable experience to see many of my students mingling with the crowd, enjoying the reaction and enthusiasm for the many paintings they had on display. Most of the work submitted was by students at the beginner level. You can imagine, I felt sort of like a proud parent taking it all in! Thanks to the Center for its commitment to the art program and to my wonderful students for stepping out onto a brand new stage! More to come! Thanks to student, Jan Coulbourne for allowing me to digitally "play" with her photo. We Miss Them Every Day! 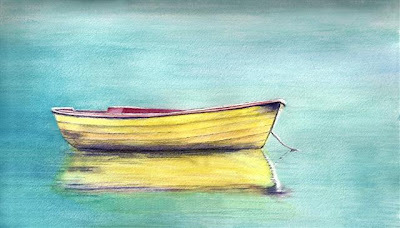 This is another watercolor study on reflections for my advance beginner/intermediate class. Its colorful palette made it so enjoyable to paint. Our class has concluded and we had a great time learning about color theory, painting reflections and how to interpret in watercolor the local scenery here on the east coast. 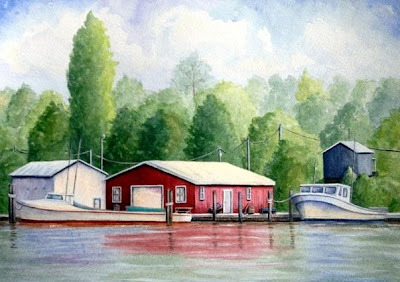 My workshops take place at the Delmarva Discovery Center on the Pocomoke river. TO RECEIVE NEW POSTS IN YOUR INBOX! This is a local working dock that we often pass when we are out boating. It is charming even today but my goal in painting it is to portray it as it might have been back in the sixties. This is a painting that I did for my advanced beginner/intermediate class. My current students are such a congenial group, having taken several class series' from me at the Delmarva Discovery Center. They enjoy one another and are quite serious about learning all about watercolor painting. Maybe you should consider some art classes! It can change your life. I hope you enjoy the painting. Painting and prints available. This one was lots of fun to do. 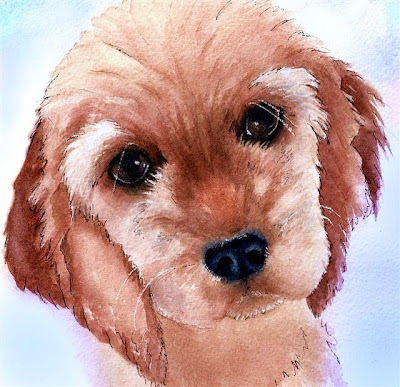 This is a painting of Chloe, our 4 month old cocker spaniel. Yes, she actually does have eyebrows! She is adorable and has finally convinced our 6 year old clumber spaniel that she is pretty loveable. We had to keep them separated for almost two months while he adjusted to her. That's another story and one that is too lengthy to go into! I hope you like this painting as much as I do. I painted this using a photo reference that I shot one day on my way into my doctor's office last summer. They had a large pot of gorgeous hibiscus' plants on the sidewalk and I fortunately had my camera in the car. It was a beautiful, sunny day and the photo turned out great. This is my first venture into "pouring watercolor" and the style is quite different than what I usually do. It was fun! This is 11"x 14" on 300 lb cold press paper using my new Daniel Smith paints. I LOVE these paints. I hope you like the painting. Email me for purchase information. 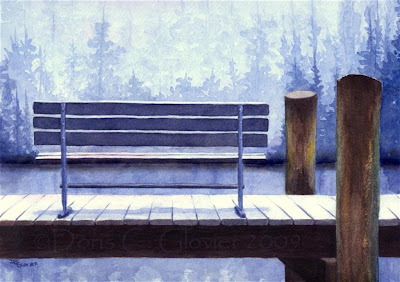 Those of you who subscribe to my blog know that one of my favorite haunts for paintings and photography is the dock at the end of my road. I enjoyed doing this analogous painting and feel that the scene was perfect for this particular painting. It is the same peaceful view that I have used in the past to create a digital artwork. Most paintings are available for sale. Please email me for information. 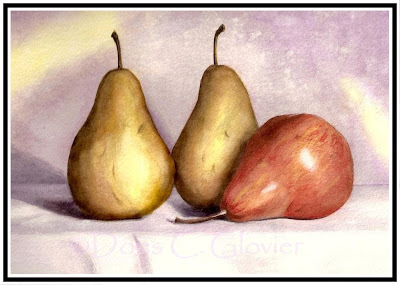 This painting is an example of a simple still life. I painted it to use as the project for my Still Life in Watercolor class. 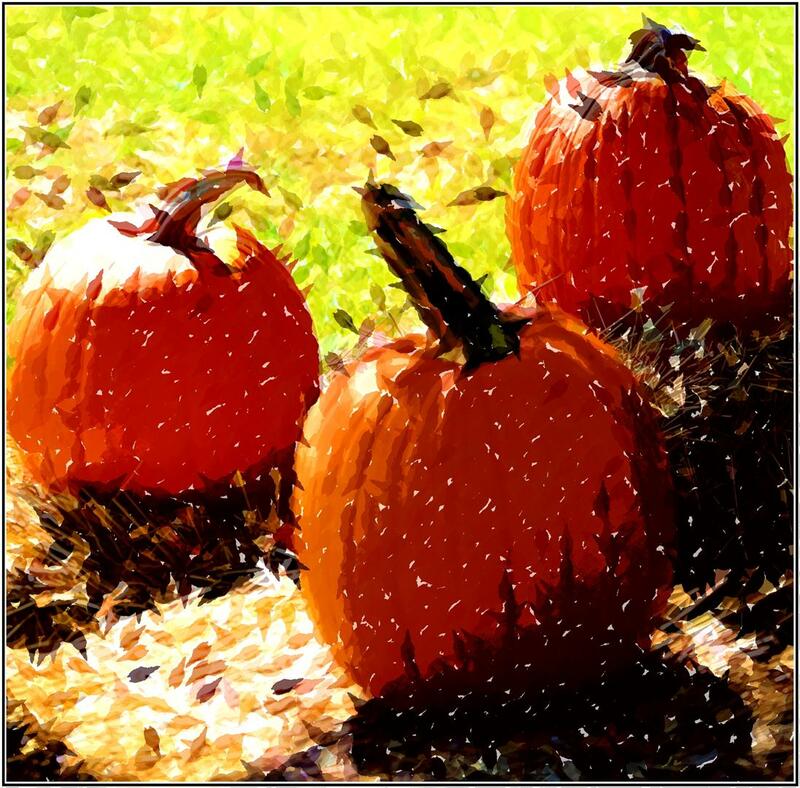 We started this week and my students had fun learning how to create the textured background. This week we talked about composition and how the rule of thirds and the golden section can help you create a more appealing painting. Check out "Events" at the Delmarva Discovery Center website for info about classes: http://www.delmarvadiscoverycenter.org/. Because the Discovery Center's mission is education, the classes are offered at an unbelievably low price. 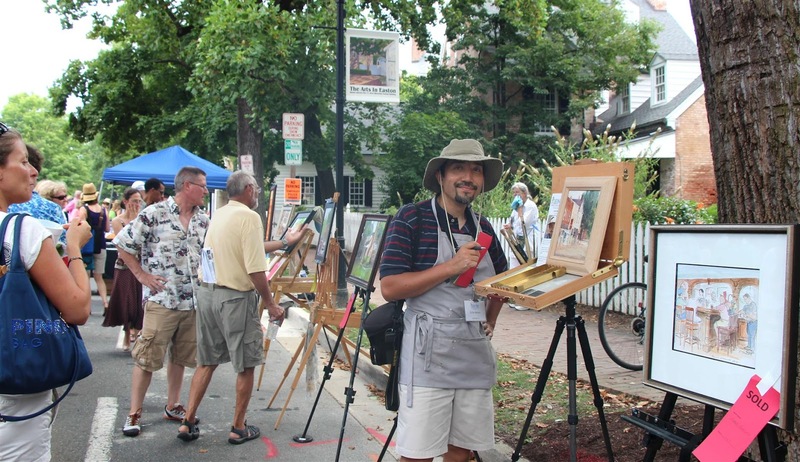 It's a great opportunity for beginners and experienced painters alike! Click on the image for a more detailed view. Beginners classes are starting in early May! 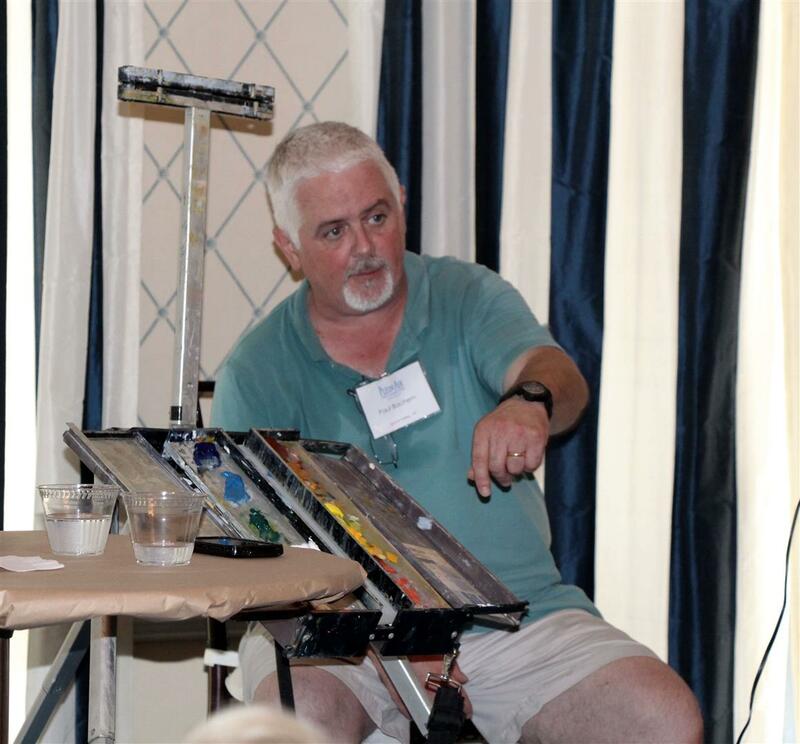 I am having a wonderful time with my morning class and evening class of watercolor students. This evening, my class wanted to know why I hadn't posted a photo of them on my blog since I have my morning class students posted. Needless to say, I will be featuring the evening class soon! In this photo, I am demonstrating a graded wash for a landscape study we'll be working on. As you can tell by the intent look on the faces of these students, they are seriously hooked on watercolor painting. You could be too! Just look for a class near you! 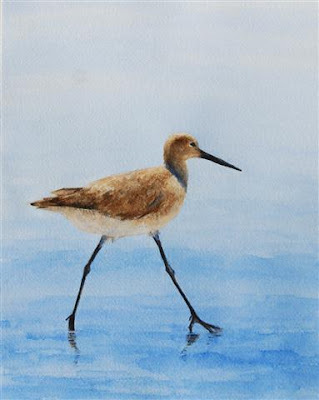 I love the Pocomoke River and the Delmarva Discovery Center has asked me to incorporate the river and related flora and fauna into the projects for my watercolor classes. This is the project painting for my level II beginner's class that starts tomorrow. It's not too late to register for level I & II! Click here for more info. This bench is on one of the docks by the river. 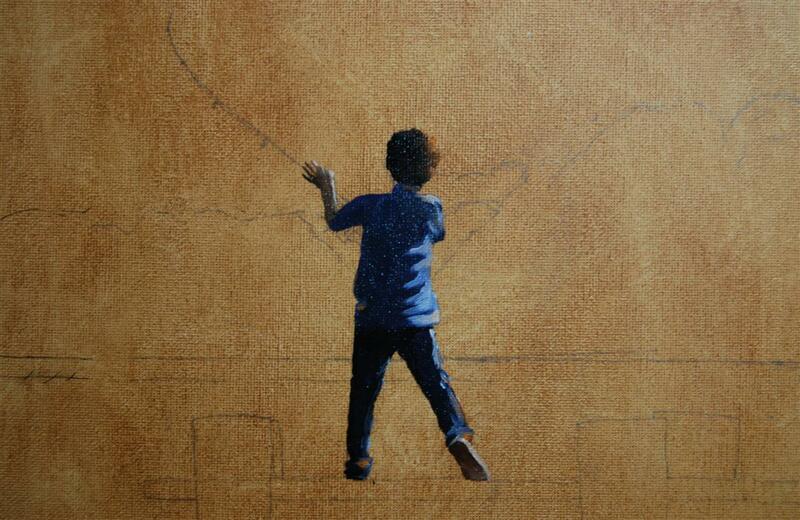 I have used a limited palette to emphasize the importance of values in a painting. I have taken liberties with the trees and created primarily pines on the far shore although cypress trees are the most prevalent in that area. I often sit on that bench with my dog when we've been out walking. This day it was cold and misty. Not a great day to linger but a good opportunity for taking photos to use for painting reference. I hope you enjoy the painting. 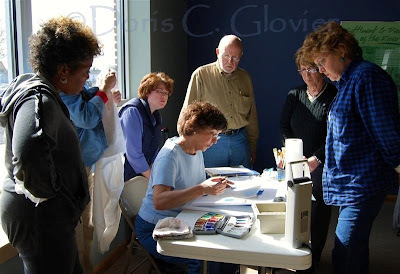 I am so fortunate to have two wonderful groups of beginner watercolor students who are energized, anxious to learn and just a whole lot of fun! This is our final week of the series of four classes and they have amazed me at how quickly they have progressed. I look forward to the next series of beginner I and beginner II classes at the Delmarva Discovery Center. They are starting the second week of March. For more info on the classes go to their website: http://www.delmarvadiscoverycenter.org/. The four week session is only $40! Come join us! 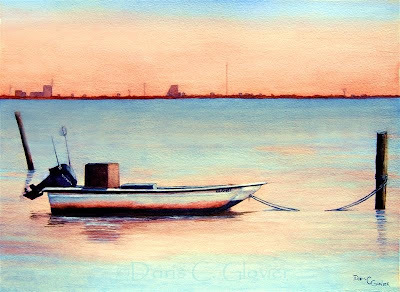 My watercolor classes at the Delmarva Discovery Center have been a lot of fun to date. 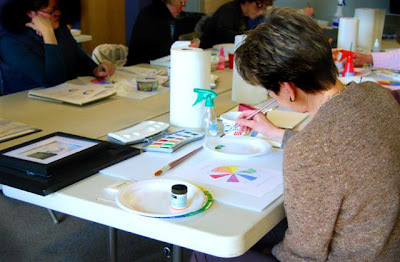 We are going into our third week and have covered many areas such as brushes, paper and other supplies as well as color mixing and procedures such as washes and glazing. We will complete two small painted studies and a full size watercolor painting. I am fortunate to have a great group of students in both our morning and our evening classes. You can check out my upcoming March classes at the Delmarva Discovery Center. 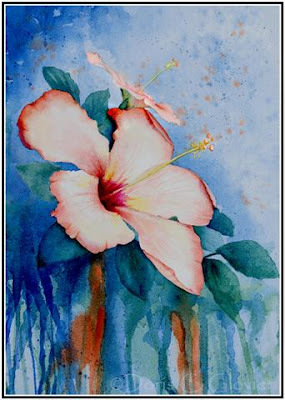 We will present beginner I and beginner II watercolor painting classes. Click here to go to their website. RECEIVE EMAILED POSTS TO YOUR INBOX! I am an artist and a photographer. I accept commissions and do paintings, photography and digital artworks for clients, local galleries and exhibits. 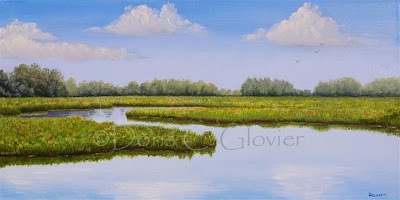 Email me at dcglovier@yahoo.com with questions about my artwork. 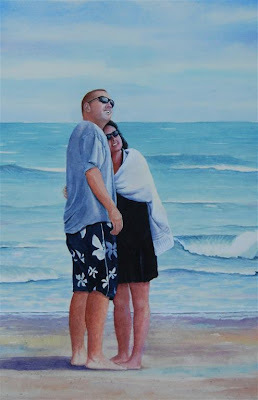 Commissioned paintings and digital artwork are amazingly affordable. Thanks for stopping by! Use of any content on this blog without the permission of Doris Glovier is a violation of U.S. copyright law.